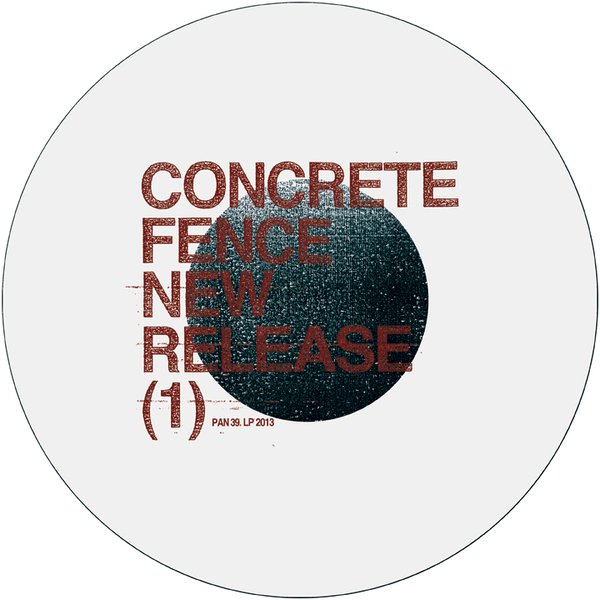 *Regis and Haswell finally debut their Concrete Fence project on this new 12" for PAN* Regis & Russell Haswell's Concrete Fence is a tantalising proposition for noise and techno freaks. As a duo they first rallied under the aegis at the 2012 Blackest Ever Black party in London's Corsica Studios with an improvised live set that veered between shambolic and inspired (often the former) but opened a whole can of worms for future baiting. 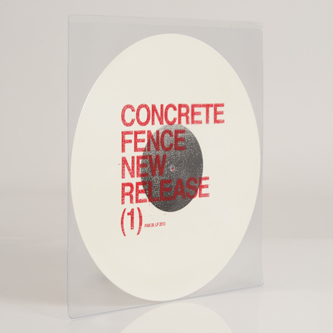 On 'New Release' they've distilled its chaotic thrust with a more measured and ultimately rewarding approach, finding dynamic tension between Regis' gothic techno steppers' structures and Haswell's patented style of sonic malevolence. The effect is virulent, visceral and lip-bitingly strong, especially in the first two parts, while the third is a little more prosaic. 'Industrial Disease' synchs uranium-enriched synths and noise to a hulking halfstep chassis, whilst 'Caulk' relegates the rhythms to a flickering pulse and chain-rattling percussion against wretched drones and skrunched noise contortions. 'The Unabridged Truth' pares down to a simpler 4/4 chug with jetting streaks of computer noise to a narked finale - bringing an inspired debut EP to a close.